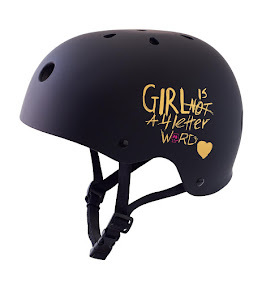 Girl is NOT a 4 Letter Word: Quit Your Day Job Video - Vimeo Release Today! 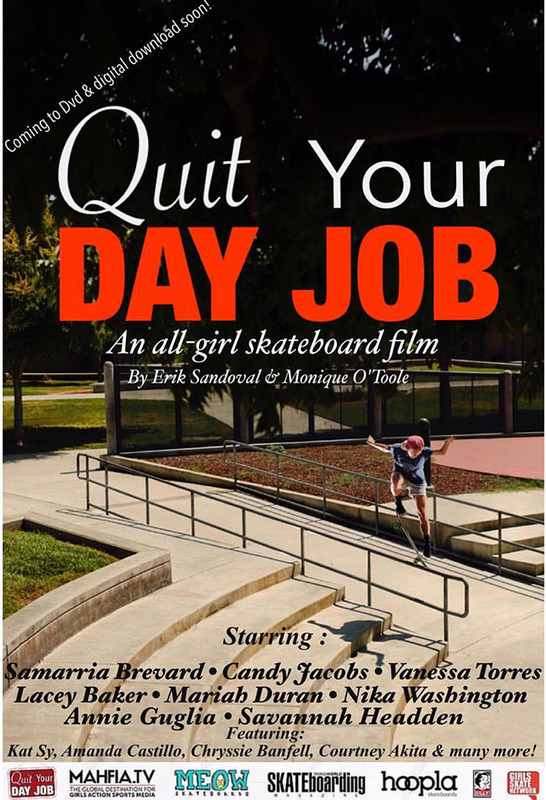 Quit Your Day Job Video - Vimeo Release Today! If you supported the Indiegogo campaign that Quit Your Day Job did a few months back, you can now stream the complete film on Vimeo as of today! You can only view it if you have the VIP access code which the filmers emailed you last night - so check your inbox and spam folder just in case! It pays to be a supporter of a project early on for perks like these! If you ordered the hard copy DVD, it looks like your orders are shipping out January 2 - so watch your mail box for delivery. After that, the official release will be on Meow Skateboards site and you can order them there. In the meantime you can watch the trailer (above) over and over until you can get your hands on the real thing. 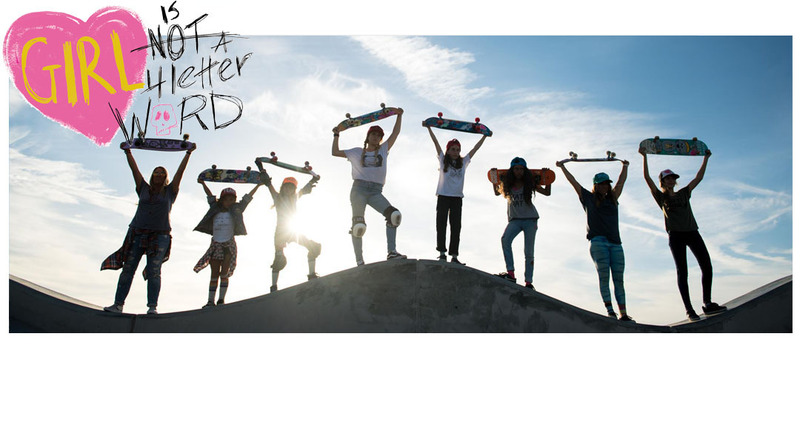 Quit Your Day Job is first full length female skate film in the US in over a decade, the video showcases the most progressive street skating from the top female skateboarders in the world and introduces up and coming skaters that are paving the way for the future generation of skateboarding. 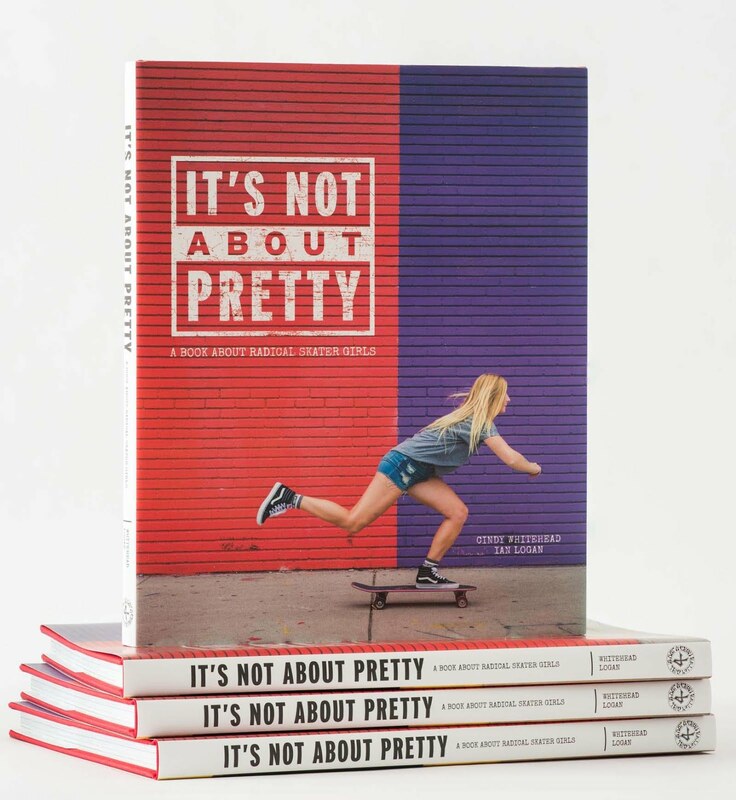 This film will change people’s perception of what females are capable of and inspire a new world of possibility for the next generation of skateboarders. Created by skaters and filmmakers Erik Sandoval and Monique O’Toole, this project started in January of 2015 as a short skate edit. 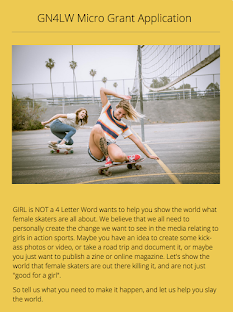 The desire, demand and need for a full length girls skate film became a reality as Erik and Monique met girls from all over the country whose talents deserve to be showcased. Erik and Monique, along with a few of the skaters decided to quit their day jobs and dedicate their lives to this film. Vanessa Torres, Lacey Baker, Samarria Brevard, Candy Jacobs, Nika Washington, Mariah Duran, Annie Guglia and Savannah Headden. Amanda Castillo, Chryssie Banfell, Kat Sy, Courtney Akita, Chelsea Castro, Meagan Guy, Christiana Smith, Minna Stess, Roxzi Bokolas, Jordan Serpentini, Elo Jett, Maddie Collins, Die Hu, Eleanor Bowyer, Kelly Green, Kiana Parra, Noelia Velez, Ali Stevens, Marissa Martinez, Brighton Zeuner, Poppy Starr Olsen, Bryce Wettstein, Sierra Kerr, Nicole Hause, Andrea Bethke, Izy Mutu, Shanae Collins, Hanna Zanzi, Fabiana Delfino, Mimi Knoop, Kristin Ebeling, Jordyn Barratt, and Lenna Chrisala.